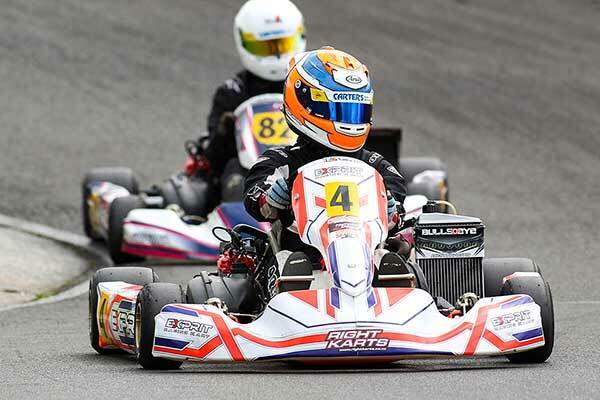 The wind blew and rain showers swept across the track for most of the day but 140+ karters contesting the third round of this year’s Hampton Down-sponsored Top Half Series at Hamilton took it in their stride. 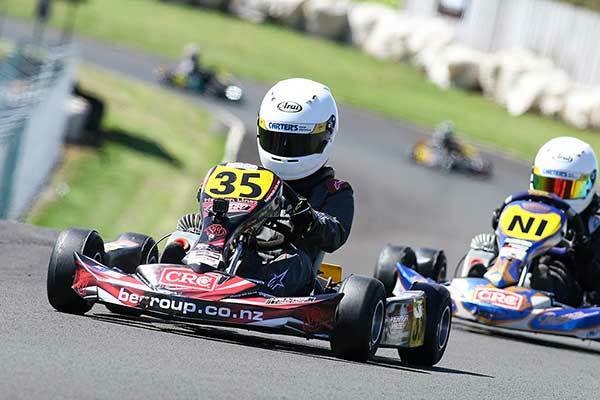 It was a good day for local club members, with Campbell Joyes edging out Auckland-based international Dylan Drysdale in Rotax Light, Caleb Hartley making a winning return in Rotax Heavy, and young gun Hayden Lines stepping up to win Cadet ROK from Auckland’s Ashton Phipps and class North Island title holder Kiahn Burt. Otherwise it was a matter of driving to the conditions with consistency as important as outright speed. 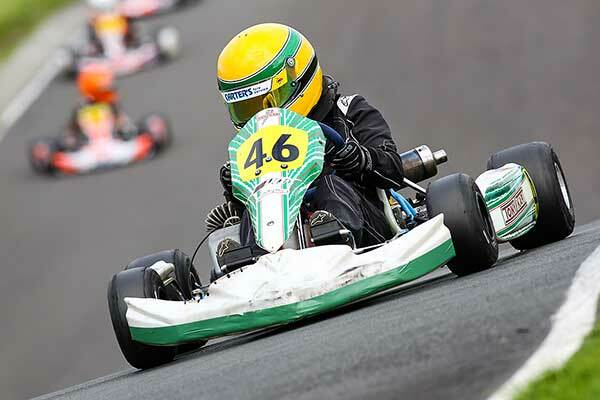 Tauranga Speedway ace Sam Waddell won three of his Rotax DD2 class heats, but a win and four second places was enough for kart and car racer Ryan Yardley to take round class honours, the difference a single point. The situation was very much the same in Vortex Mini ROK where breakthrough class winner Ayrton Williams pipped KartSport Mt Wellington club mate Liam Sceats by a single point. Palmerston North flier Jackson Rooney won three of his five Rotax Junior heats but so competitive is the class at the moment that the three drivers behind him – Fynn Osborne from Hamilton, Breanna Morris from Auckland and Zac Stichbury from the Hawke’s Bay – all ended up with the same number of points, with the order decided on countback. Only in the ClubSport 120 senior class was the round finishing order a little more clear cut, with Dean Oliver from Whangarei winning three of the five heats and finishing second in the other two to lead home class stalwart Steve Muggeridge from the Eastern Bay of Plenty club. 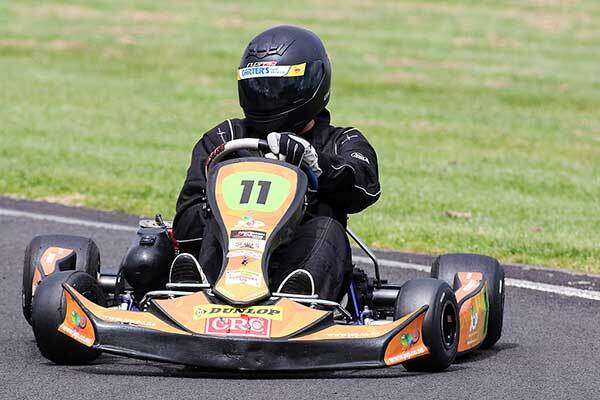 Eight clubs from Whangarei in the north to Tokoroa in the south comprise the Top Half catchment but karters from other areas are welcome to join the fun. 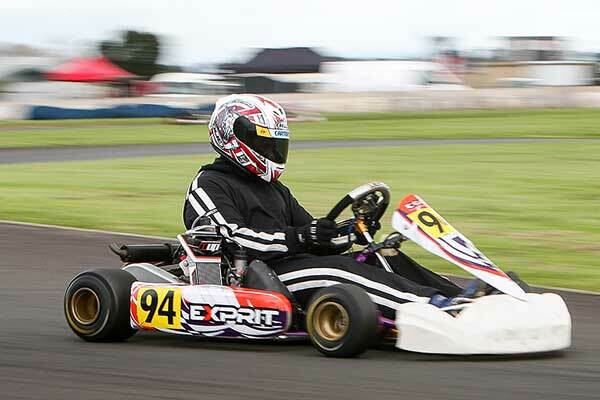 Competitors now have a month to prepare for the final round of the 2017 series being hosted by the KartSport Eastern Bay of Plenty club at its KartZone Raceway at Edgecumbe. Class sponsors this year are KartZone (Cadet ROK), Supreme Kart Supplies (Vortex Mini ROK), Spartan 4Toyota (Rotax Max Junior), WestSpeed Motorsport (125cc Rotax Max Light), TCB Motorsport (125cc Rotax Max Heavy), Vehicle Grooming Services (ClubSport 120), and Right Karts (Rotax DD2). Other sponsors include CRC Industries, Hampton Downs Go Karts, RJ’s Licorice, Lightning Race Gear, Giltrap Group, Jeff Oliver Print, Lascom Motorsport, Dunlop, Emilee Jane Photography, Arai NZ, Headcase Design and the NZ Rotax Max Challenge. 1. Ayrton Williams 244 points; 2. Liam Sceats 243; 3. Emerson Vincent 229; 4. Mitchell Sparrow 219; 5. Tom Bewley 219; 6. Ryan Hancock 218. 1. Hayden Lines 241 points; 2. Ashton Phipps 232; 3. Kiahn Burt 231; 4. Louis Sharp 229; 5. Jay Urwin 229; 6. Blake Corin 229. 1. Jackson Rooney 243; 2. Fynn Osborne 239; 3. Breanna Morris 239; 4. Zac Stichbury 239; 5. Ashton Grant 227; 6. Connor Davison 221. 1. Campbell Joyes 241 points; 2. Dylan Drysdale 240; 3. Taylor Harte 235; 4. Corey Green 234; 5. Michael McCulloch 229; 6. Thomas Joyes 217. 1. Ryan Yardley 246 points; 2. Sam Waddell 245; 3. Jono Buxeda 238; 4. Bond Roby 236; 5. Dave Malcolm 227; 6. Stuart Gould 223. 1. Dean Oliver 248 points; 2. Steve Muggeridge; 239; 3. Steve Carter 236; 4. Graham Knight 230; 5. Mark Rose 226; 6. Cliff Walsh 226.